From sundown Friday to sundown on Saturday is Shabbat—the Sabbath. It’s actually 25 hours just so we don’t start late or end too early. Since I started thinking about such things, I realized that of the Ten Commandments, for me the Fourth Commandment: Remember the Sabbath day, to keep it holy, is one of the most challenging. Simply put, it arrives every week. I consider myself a liberal Jew. I was raised in the Conservative tradition and now belong to a Reform congregation. That said, I respect what you believe and won’t spend any time arguing with you about your own belief (or disbelief) system. Religion is a very personal thing. 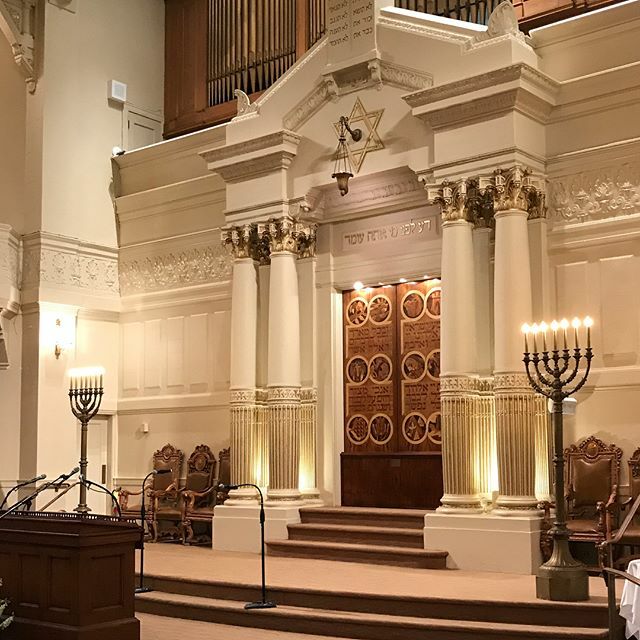 In an effort to separate this day from the rest of the week I generally attend services at Temple Sinai in Oakland on a weekly basis. After working virtually every Saturday since 1980, when I semi-retired in 2000 I told my bosses that I could not work on Saturday anymore because I was attending Sabbath services. After that, the subject was closed. I learned about the importance of community after my mother’s death several years ago when 200 people—many from the congregation—came to one of two memorial services after she passed. Only a handful of those present had ever met my mother; they were there to support me in my mourning and grief. I was overwhelmed. The same thing happened after my father died. Today’s Torah reading was about Moses and the Israelites in the wilderness. It reminded me of my recent time in the desert. Sadly, I didn’t have Moses to complain to.